Entrance Fees: A visit to the lake will not cost you. It is free of cost. But to avail some of the amusement rides you will have to pay the menial amount. Visiting Time: The Lake is open on all days. You can observe its brilliant beauty at any time of the day. The boat rides are usually available from 0900-1700 hours. Visiting Duration: The Lake can be visited in in about 1-2 hours. Unless you plan on some professional photography, it doesn’t take long to visit the Lake. Yelagiri is one of the most renowned hill stations in the South. It has been nicknamed “Poor man’s Ooty”. It is an amazing place to visit and a great summer retreat for the family! The vibrant greenery and the calm surrounding will mesmerize you from day one! The climate here is quite cool and pleasant all year round. You will find yourself getting lost here every day, in its misty hill tops and lusty winds. It is a great place to lay back and relax. And of all places here, Nilavoor Lake is a bliss in Yelagiri. This lake is an astounding sight during dawn and dusk. Carry some warm clothing and blankets. It gets quite nippy in the nights. The day are pleasant so you don’t have to pack in too much of the woolens either. Take care of the children in these forested areas. Always keep them under close supervision. Always plan your day in advance so that you can completely enjoy your stay without any issues. There are food stalls nearby, but it is suggested to carry some snacks and a bottle of water. Wear comfortable footwear. You might very well have to walk long distances. Always be wary of your surroundings. Stay alert. If you have a personal vehicle to ride keep a full tank of petrol. There is a lack of petrol filling stations in Yellagiri. Take a relaxing boat ride along the banks of Nilavoor lake. Go for a soothing walk and take in the abundant natural beauty present here. Visit the Devi Temple belonging to Kadavu-Nachiyar and seek blessings. Discover the pink beauty in the Lotus pond in the nearby Nilavoor village. Grace the Yellagiri Summer Festival in the month of May. You can easily find guides to take you around the lake. You can ask your hotel authorities or book them online through tourism websites. But it’s not necessary to have guides as the directions are quite self-explanatory and relatively easy to navigate. The best time to visit would be between the months of April and December. The winters are really. The best time to visit would be between the months of April and December. The winters are really pleasant and make it worth the visit. You will find the weather to be quite relaxing and brilliant. Yellagiri is well connected by road and rail. You can find trains and taxis to Yellagiri from the major cities, Bangalore and Chennai. Public transport is also quite efficient in travelling. You will also be able to use rickshaws and taxies in Yellagiri to book a ride to the Lake. Nilavoor lake is an artificial lake situated very close to the Nilavoor village. It is one of the most beautiful and astounding lakes in Tamil Nadu. As amazing as this lake is, it is not a very large one. But its size works in its favor, as it is a great boating site. 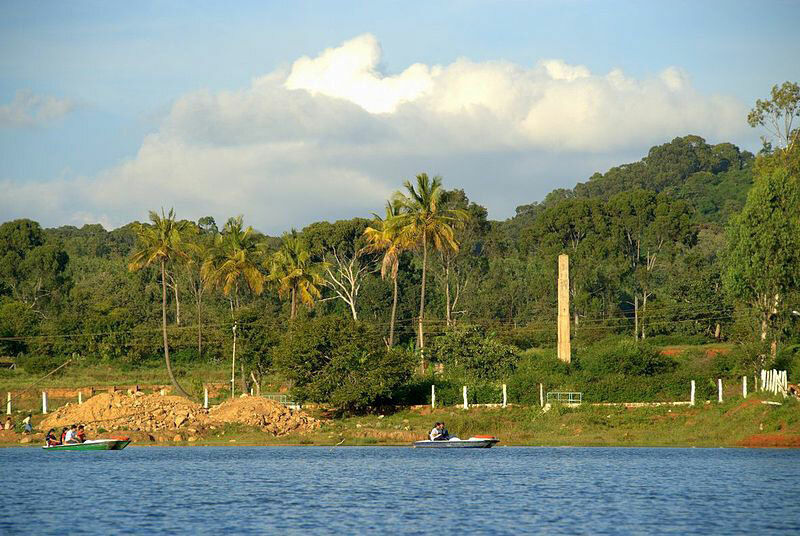 Yelagiri is a brilliant hill station and that has only boosted the fame of Nivaloor lake. It is becoming a very popular summer retreat. The Thambiran Lotus Pond that has been constructed is also attracting many people to the Nilavoor lake. Nilavoor lake is awe inspiring sight to behold. You will be amazed by all the wonderful sights that you will discover on a family trip to these cool hilly regions. One thing is for sure you will never regret this trip into nature’s lap.